Sen. Tom Coburn, R-Okla., released on Monday a plan to reduce the national deficit by $9 trillion over the next ten years - although the Republican senator said on Sunday he intends the plan to be more of a guideline for Congress rather than a realistic option in and of itself. The plan, called "Back in Black," proposes spending cuts that span the entire U.S. government - from Congress to independent agencies - and aims to reform entitlements and overhaul the U.S. tax code. "This plan offers the American people 9 trillion reasons to stop making excuses and start solving the problems in Washington," Coburn said in a press conference Monday. Still, as Coburn pointed out on CBS' "Face the Nation" on Sunday, he does not expect the plan to successfully pass through the Congress. 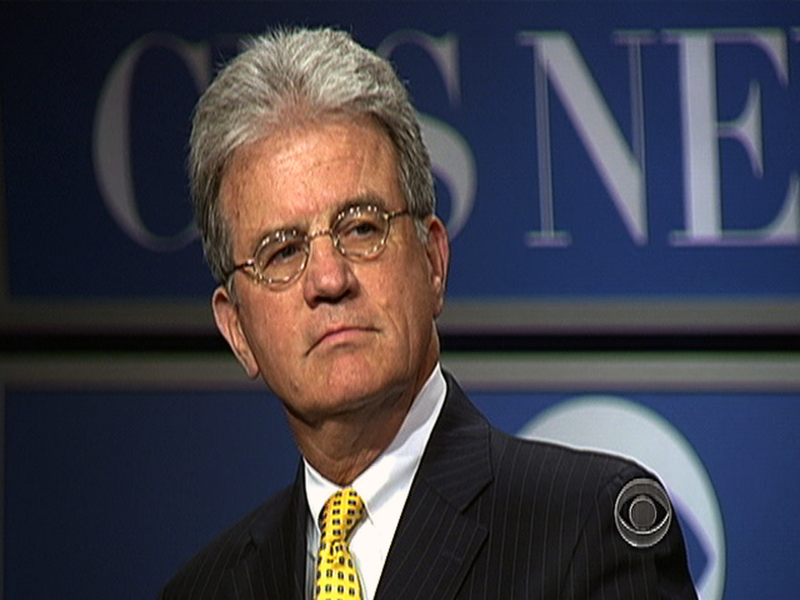 "I wouldn't expect [the proposal] to pass, but I would expect people to look at it," Coburn told Bob Schieffer. ""We have spent thousands of hours going through every program in the federal government. We have $9 trillion worth of savings that are achievable over the next ten years. Pick half of them. Half of them solve our problems." Among the proposed cuts in Coburn's plan include $974.1 billion in cuts from the general government, as well as billions from Congress and the Executive Office of the President. Those reductions would be achieved partially by cutting 300,000 jobs from the federal workforce, and imposing a three-year pay and bonus freeze for federal workers and Congress members. The proposal also targets more than a trillion dollars from the Department of Defense budget, as well as hundreds of billions from the departments of Energy, Homeland Security, Justice, and Education. NASA, the Environmental Protection Agency, the Small Business Administration and numerous other government agencies are also hit with billions in reductions. "The federal government has become so large, it is impossible to grasp its true size and scope or to pay for its costs," Coburn writes in the proposal's executive summary. "Nearly every corner of the federal government is rife with duplication, mismanagement, and special interest carve outs. Each is protected by an entrenched bureaucracy, a well-financed lobbying group, an active and organized constituency, and an entrenched politician, which time and again align to best any efforts to reform, cut, or eliminate government waste." Coburn's plan - the most expansive such proposal put forth so far - also calls for major reforms to Medicare, Medicaid, and Social Security that would amount to more than $2.5 trillion in cuts over the next ten years. Some of the reforms to Medicare and Medicaid include raising the eligibility age for Medicare recipients, tracking high prescribers and prescription drug users to detect abuse, enrolling low-income seniors in Medicaid managed care programs, and reducing subsidies to teaching hospitals for graduate medical education. For Social Security, Coburn proposes restraining benefits for high earners, raising the retirement age, and adjusting cost-of-living calculations to more accurately reflect inflation. "Real choices must be made to reduce spending, increase revenues, or both," Coburn writes. If Washington does not begin making these difficult choices today, those decision will be made for us tomorrow and the results could be catastrophic," Coburn writes. "The only guaranteed entitlements for future generations will be debt and lower standards of living." The senator, however, does not limit his proposed savings to spending cuts alone: the plan also carves out more than $990 billion that could be saved by overhauling the tax code and eliminating "the most egregious tax giveaways." "Politicians love to play the tax code because it benefits the politicians," Coburn said on Monday. Among the proposed tax reforms include the elimination of breaks that are duplicative of government funding for local economic initiatives, the elimination of special interest corporate tax breaks, and cutting what Coburn describes as "misguided subsidies" for some clean energy initiatives. He added, in the report: "The tax code is long overdue for comprehensive restructuring. Yet, instead of considering broad reform to simplify the code and lower rates, Washington continues to make the problem worse--doling out new tax breaks and subsidies in the form of tax credits to well-connected companies and special interests with powerful lobbyists who seem to have more influence than most members of Congress. The result is a complex tax structure that benefits only a few, hinders economic growth and drives up costs and taxes for many working families and businesses across the country." Coburn acknowledged to reporters that not everyone would support his sweeping proposal. "I have no doubt both parties will criticize portions of this plan and I welcome that debate," he said. "I don't care what the political problems [with the plan] are; the fact is that the country's at risk and it's not time to consider the political problems - it's time to consider the country." Reforms the Home Mortgage deduction: As proposed by the President's National Commission on Fiscal Responsibility and Reform, eliminating the deduction for second homes and equity lines of credit, combined with lowering the cap for the primary deduction to homes worth $500,000, will better target the mortgage deduction to those with the most need, while resulting in significant savings. Joint Strike Fighter- DOD should either enter into multiyear procurement agreement to save money or completely replace with super hornet. Three-year freeze on federal worker's pay; reduce federal workforce by 15%. Reduce number of federal contractors. Would raise Medicare's eligibility age to 67. Would raise by two months every year beginning with people who were born in 1949 (who will turn 65 in 2014). Jill Jackson contributed to this report.